Successfully Added Mounchain Lightweight Cabana Beach Tent to your Shopping Cart. SUITABLE SEASON & OCCASION: Suitable for Spring, Summer, Fall, Winter. Great for go camping, beach night, outdoor adventure, nature expedition, family games, team work, go hiking, climb mountain and so on. 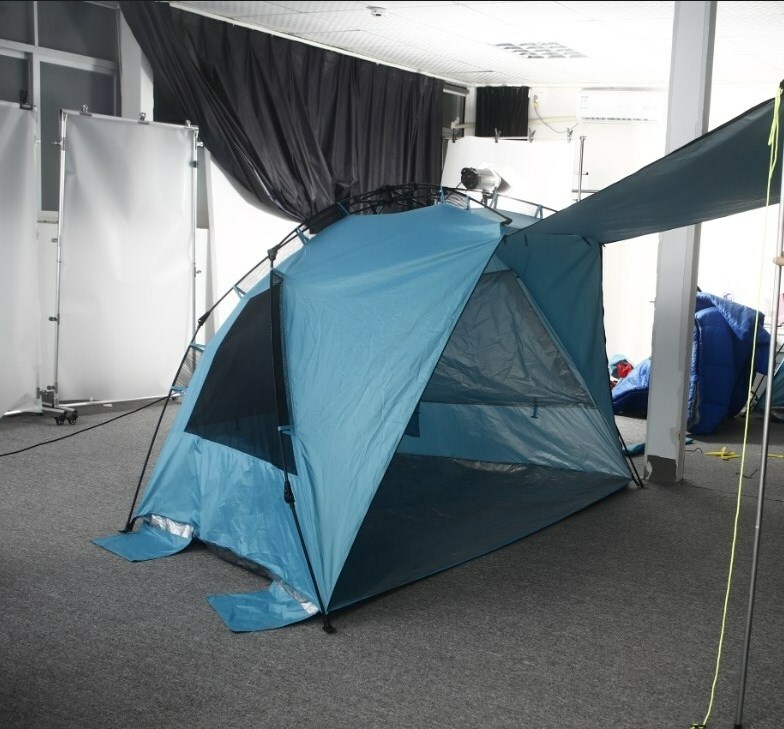 STRONG FUNCTION: Not only it's a great windproof, waterproof and sunproof equipment, also has a huge room for you to live. the beach tent provided 2 support poles for blocking sunshing, and also offer a wide sight for you. CONVINTENT AND EASY TO CARRY: The beach tent is portable, easy to carry and pack up, made well but light. When you want to have a travel, camping, outdoor adventure or nighting in the nature, you could carry this cabana beach tent by yourself any time and place. GREAT FOR FUN WITH YOUR FAMILY AND FRIENDS: You could lay on the beach or nature in the tent, enjoying yourself relaxing time, and also great for you to play games with your friends or your family in the tent, no matter on the mountain or beach, that will be a warm and romantic occasions. Just enjoy your time. 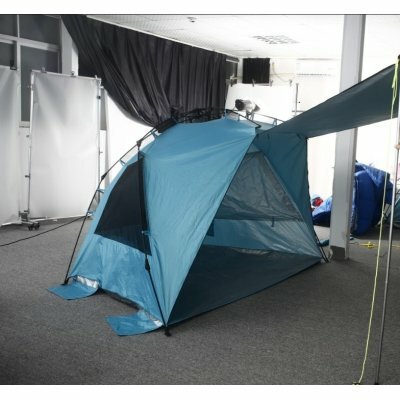 The beach tent is a great outdoor holiday choice for most people, it's more and more popular among outdoor activities. Each Support Pole could divide 3 short parts, also could be made up on long support pole. easy to use and carry. The beach tent has 3 mesh windows, and each one provide blocking cloth so that it could protect your privacy better. 5 sandy bags linked with the beach tent and 6 plastic zigzag ground nails are equiped for your so as to keep your tent more stable.